Install in any position – Either Horizontal, vertical or on an angle. Leak Proof Mechanical Seal – Self Adjusting as a result – for temperatures up to 225 °F. (107 °C) – easy to service. Enclosed Bronze Impeller therefore threaded onto stainless steel motor shaft. Consequently Balanced for smoother, quieter operation. Replaceable casing wear ring is especially relevant. 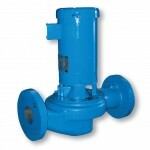 Easy to service – most of all back pull-out design allows removal of pumping assembly without disturbing piping. Saves costly fittings due to excellent design. In Conclusion, Saves Installation time. proof motors are available to meet a variety of applications. Standard pump motors have open drip proof construction and are rated with jet pump service factors for continuous duty operation. Open Drip Proof motors are 56 frame size with NEMA standard mounting flange, one piece threaded stainless steel shaft and ball/ball bearing construction. While Voltages may differ from some suppliers, please call us to confirm specifications. All single phase ODP and Totally Enclosed motors as a result have built-in overload protection. All three phase motors and all explosion proof motors must be installed with another magnetic starter which provides full 3-leg protection. Failure to use correct starter and overloads will consequently void motor warranty.